Warden Sheila Farmer and her assistant, Michelle Mote, look forward to assisting you. 1 year old. Has been fixed. Knows some commands. 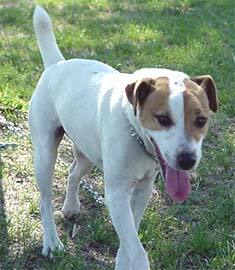 This dog is a very energetic 1-year-old. 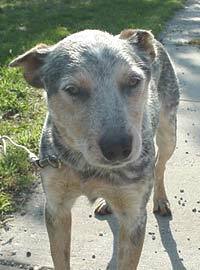 [Cattle dog. Not fixed. Will need a large area. 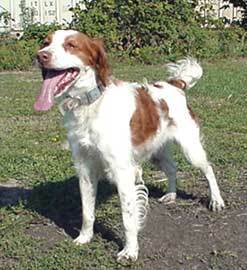 [Brittany spaniel, full-blood. 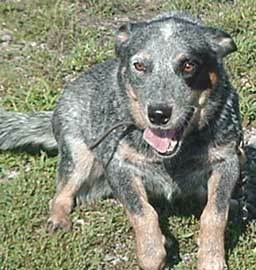 Female, 2 years old. [Scooter. 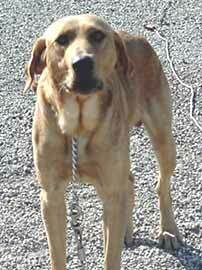 Lab-retriever mix, 2 years old. 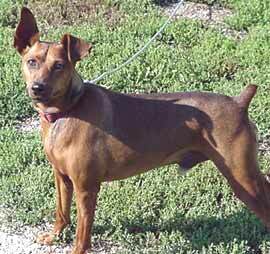 [Mixed puppy. 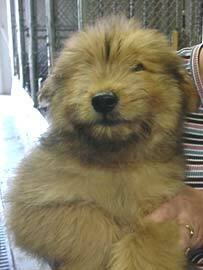 Male, 8 to 10 weeks old. 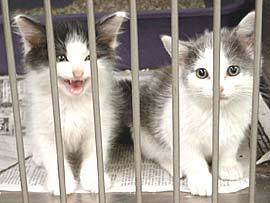 [Mixed kittens. One male, one female. 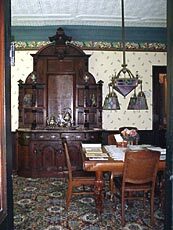 [SEPT. 24, 2001] The artifacts in the Funk Prairie Home and Gem and Mineral Museum demonstrate that, while this colorful and prominent central Illinois family were ahead of their time in farming practices, family members also developed many other talents. DeLoss Funk, younger son of LaFayette, for example, became an early expert in the new science of electricity and wired his farm home for electricity 15 years before the homes in nearby Bloomington had electric power. Of course, there were no power plants for DeLoss to hook into at that time, so he built his own generator. The cement building close to the house houses a gasoline engine that he built to power the 110 volt generator. 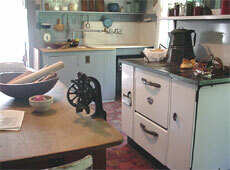 In the kitchen, where the furniture is vintage 1910-1920s, DeLoss provided outlets to the kitchen island — a big wooden table — that could power a fan, a waffle iron, a toaster, a chafing dish and a vacuum cleaner. In a time when irons, often called sad irons because the amount of hard labor they required, were heated on a wood or coal stove and rushed to an ironing table, the Funk family had a choice of two types of electric irons: a shirtwaist iron and a smoothing iron. DeLoss also provided his mother with an electric washing machine, attached with a belt drive to a butter churn, so she could wash clothes and churn butter at the same time. This was four years before the first commercial electric washing machine was available, tour guide Bill Case explains. The Funks also had grass tennis courts, and DeLoss provided lights for them so people could see to play at night. He also built a fountain with colored lights in the formal flower garden south of the house, which was used on special occasions. The upper floor of the house had five bedrooms and a nursery, as well as another bathroom. In the guest bedroom was a tin ceiling and the rest of the "fancy" furniture that came from Philadelphia: a bed, a large dresser and a washstand. The large dresser has a long, flat, hidden drawer in the bottom where the family could hide their land deeds, the most valuable possessions they owned. The washstand was kept in the guest room even though the room contained a sink with hot and cold running water. But because many folks at that time were not familiar with running water and might have been afraid to try using the sink, the Funks, always concerned for the comfort of their guests, provided the washstand with a bowl and a pitcher of water as well. A bed in one of the family bedrooms still has a corn shuck mattress. Former caretaker Bertha Hedrick, who lived in the house, slept on the corn shuck mattress for 15 years and said it was the best sleep of her life. She described it as "like a crunchy waterbed but a bit noisy." The Funks were democratic from the beginning, as the servant’s room will attest. It is large and pleasant, with windows on two sides, a comfortable bed, a desk, a wardrobe and chairs. It also has its own stairway to the back porch, so the cook or caretaker who lived there could come and go, or have visitors without disturbing the family or being disturbed. The most unusual feature, however, is the painted floor. The other floors upstairs are pine but are not painted. Paint was very expensive in those days, Case explains, and the painted floor was a sign of the high regard the family had for their help. The Funks paid their help well, Case says, and treated them much like family members. In fact, some of the help married into the Funk family. When LaFayette and Elizabeth died, DeLoss and his wife and three daughters moved into the home. His family were the last Funks to live in the Prairie Home. LaFayette’s other son, Eugene, usually called E. D., and his family, four sons and four daughters, lived a few miles down the road. E. D. raised, cattle, hogs and sheep, but early on he turned his attention to improving corn. In 1901 he formed the Funk Brothers Seed Company and began working to improve the yield of corn and soybeans. E.D. began experimenting with closely bred families of corn and in 1916 marketed the first commercial "hybrid" corn, although that corn was not the hybrid corn farmers know today. However, E.D. and his staff kept working to develop corn that could withstand disease, drought and the storms that leveled rows of corn in the fields, and by the 1920s the Funk Farms near Bloomington had become a gathering point for scientists interested in hybrid corn. By the mid-1920s true hybrids were being developed, and by the mid-1930s new and more effective strains of hybrid corn were coming from the Funk Farms Experiment Station. For seven decades the company remained under the ownership and management of the Funk family. E.D.’s son, Eugene D. Funk Jr., often known as Gene, continued the seed corn business and was himself a prominent civic leader. Another of E.D.’s sons, LaFayette II, developed a lifelong fascination with minerals and gems. LaFayette traveled worldwide as a construction engineer for the Funk Seed Company, and on whatever continent he was in, whether in Europe, South America, Asia or Africa, he collected specimens. His collection became so extensive that he decided to build his own museum on the grounds of the Funk Family Home in 1973. He also donated collections of minerals to Illinois State University, Wesleyan University and the University of Illinois. Still, the building a few steps from the Prairie Home, which displays rocks on the outside as well as the inside, houses room after room of beautiful and unusual specimens that bring "rock hounds" and mineralogists from all over the world to visit. One of the largest one-man collections in the world, most of the gems and minerals are shown in their natural, uncut condition, but some are cut and polished. 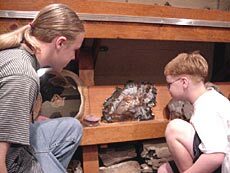 There are also separate collections of fossils, central Illinois Native American artifacts, Chinese soapstone carvings, sea shells and corals, and a room of fluorescent minerals which glow under ultraviolet light. 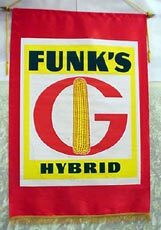 Next to the Gem and Mineral Museum, a collection of posters and pictures tells the story of the Funk Brothers Seed Company, and the visitor will see signs advertising the well-known Funk’s G hybrid seed corn. This part of the museum is still not complete, and new pieces are added regularly. 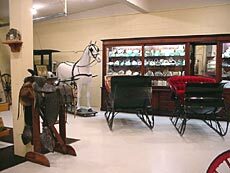 A collection of carriages that belonged to members of the Funk family, along with one that belonged to their doctor, are also on display. Another Funk, Paul Allen, a brother of LaFayette II and Gene, is the founder of the trust fund which maintains the Prairie Home and the other museums. Still another descendent of the Funk family, Rey Jannusch, a great-granddaughter of LaFayette I, is manager of the home and curator of the museums. Today, on the south lawn are a formal flower garden and an herb garden. The latter is planted and tended by the Herb Guild of McLean County and is divided into sections: herbs for cooking, herbs for medicinal use, herbs for dyeing and herbs used in biblical times. In the center of the herb garden is a knot garden, an arrangement of low-growing flowers that should look from above as if they are tied in a bow. Last year, Case said, the knot garden suffered damage in the harsh cold weather. Although the Funk Brothers Seed Company is no longer an independent Bloomington-area business and although Funks no longer live in the Prairie Home, the legacy of this remarkable family still lives on in Illinois. [SEPT. 10, 2001] When LaFayette Funk brought his bride Elizabeth home to Illinois, he presented her with his wedding gift — the spacious, graceful 13-room country home near Shirley, south of Bloomington, that is today the Funk Prairie Home. He built it himself with lumber from the family land at Funks Grove, just down the road. When he and Elizabeth moved in, in January of 1865, the house was not completely finished inside. It took them 10 years to complete the home and furnish it the way they wanted. 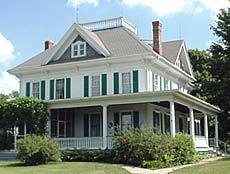 Although first and foremost the Prairie Home was a home, LaFayette, like his father, was a public person, and he often entertained visitors, perhaps the governor or another state official, perhaps farmers from the United States and other countries who came to see the model farm on the Illinois prairie. The Funks were so far ahead of their time in farming practices, people came from far away to learn from them, according to Bill Case, guide and caretaker of the home. LaFayette followed in his father’s footsteps as a "cattle king" and was a founder and director of the Chicago Union Stockyards. Like his father, too, he was both a state representative and a state senator. He was prominent in Illinois agriculture, serving for nearly 25 years on the State Agricultural Board. This board worked for laws which would benefit farmers, helped plan courses of study at the University of Illinois agricultural college, and took part in planning and staging the 1983 World’s Fair in Chicago. So LaFayette and Elizabeth’s home was both comfortable and impressive. Guests entering the front hall saw a stamped tin ceiling and a fine large hall tree, complete with mirror. The hall tree is one of six pieces made by a carpenter "out east," where the best furniture was made at that time. LaFayette and Elizabeth had gone to the United States Centennial in Philadelphia in 1876, where they saw furniture that was made as a gift for President Ulysses S. Grant. They had been saving money for 10 years to buy the kind of wood pieces they wanted, so they found the firm that made Grant’s furniture and ordered six pieces for their home on the prairie. Grant’s furniture is now in Blair House in Washington, D.C., while LaFayette and Elizabeth’s furniture is still in the Prairie Home, along with most of the other pieces they purchased. All six pieces have a rosewood base, with burled walnut and, on most pieces, bird’s eye maple veneer. 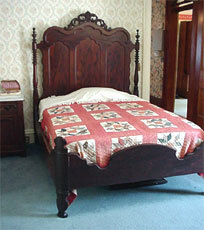 Superb handiwork and detailed wood carving make them still impressive 125 years later. 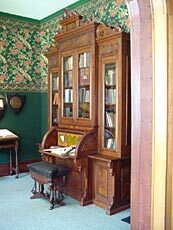 Downstairs, along with the hall tree, is a massive desk-bookcase, sometimes called a "secretary," which sits in the library next to the living room. A 10½-foot sideboard dominates the dining room. The other three pieces are in the guest bedroom upstairs. In the parlor, just off the front hall, hang portraits of Isaac and Cassandra, LaFayette’s parents. Here, too, is a Chickering square grand piano, made by the famous Boston firm and bought by the Funks in Chicago. Although most furniture was shipped by railroad at that time, this piano was brought to the Funk home by oxcart, making the trip from Chicago in just three days. The parlor, always the most elegant and least used room in a house of that time, has a fine Italian marble fireplace (even though the home had hot-water central heating), also a floor-to-ceiling pier glass between two windows. The pier glass, Case explains, was called that not because people "peer" into it, but because it came by ship from Europe and had to be picked up at the dock or "pier" when it was unloaded. 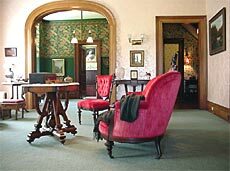 The living room, separated from the parlor by a golden oak archway, was the place for family and close friends to gather. Although this room, too, has an Italian marble fireplace, the furniture is not so impressive, just what people of that time could buy through the Sears, Roebuck catalog. The highlight of the living room tour is the 1913 Victrola. Case winds it up and puts on a record to play for visitors, perhaps the song "To Any Girl," recorded in 1904 by Alexander Campbell and Henry Burr. Although recording techniques at that time did not pick up bass sounds nearly as well as they do today, the music still sounds amazingly good. Perhaps that is because of the bamboo needles that play the thick, old 78 rpm records. The Funks always thought ahead, so along with a huge supply of these bamboo needles, the Funks also had a needle sharpener. Those needles will last another hundred years, Case says. Elizabeth, a talented musician, must also have loved the Swiss music box that sits on a small table in the living room. Case winds it up so visitors can hear one of the five tunes it can play. Off the living room is the library, with the big secretary. Accessible from both the library and the dining room was a real luxury for an early farm family — an indoor bathroom with a zinc-lined tub and a toilet. Water was pumped into a tank in the attic to operate the gravity-flush toilet. The dining room could seat 16 comfortably for dinner. The big sideboard and the bay window are focal points in the room. Not only most of the furniture but even some of the houseplants are original. On the plant stand in the bay window is Elizabeth’s Christmas cactus, now 125 years old, which she brought back from the United States Centennial celebration in Philadelphia in 1876. A cutting from a night-blooming cereus, also 125 years old, is on the plant stand as well. On the table is Volume I of the Funk-Stubblefield family tree. This book has 800 pages, and Volume II is in the works. Above the table hangs an electric light fixture that looks as if it might have been designed by Frank Lloyd Wright, or at least someone well-known in the Arts and Craft movement. This, and the kitchen, demonstrate that members of the Funk family possessed a wide array of talents. LaFayette and Elizabeth had only three sons, one of whom lived just a few years. The oldest, Eugene Duncan Funk, usually known as E.D., became a noted seedsman who pioneered the use of hybrid corn. The youngest, Marquis DeLoss, branched off in a new direction. Sent to the University of Illinois to study farming, DeLoss instead signed up for courses in the new science of electricity. At the U of I he built an internal combustion engine and became the university president’s chauffeur. When he came home again, he put his talents to use in the Prairie Home. Not only did he design and build the light fixture in the dining room, he provided his home with electrical appliances that most people didn’t dream existed, let alone hope to own. In 1910, the farm had so many electric lights journalists called it "The City on the Prairie." DeLoss was "light years ahead of his time," Case explains, because the city of Bloomington didn’t have electric lights for another five years, and ordinary rural people didn’t have electricity for another 15 years. [SEPT. 8, 2001] Not every tourist attraction makes you want to pull up a chair and just sit awhile on its front porch, or perhaps wander through its lawn and gardens. But the Funk Prairie Home, a little gem of a museum near Shirley, south of Bloomington, does just that. This inviting country home also gives visitors a pleasant and painless history lesson, a look at a prominent rural family whose accomplishments are interwoven with the story of our state and nation. And if that isn’t enough, part of this gem of a museum includes a museum of gems, room after room of cut and uncut gems and minerals from all over the world. Another section of the museum, still a work in progress, tells the story of the Funk Brothers Seed Company, which became a major producer of hybrid corn in the United States and abroad. Perhaps the most important feature of the Funk Prairie Home is that it still keeps the feeling of the comfortable, welcoming place it was in the days when the man who built it, Lafayette Funk, entertained important political and business leaders there. This impression is helped along by the tour given by guide and caretaker Bill Case, who somehow makes you feel you are one of those honored guests who were entertained by LaFayette and his wife Elizabeth. "The Funks knew what hospitality was and how to make you feel at home," Case says. "Our mission, different from that in the grand showplace homes like the David Davis mansion in Bloomington, is to educate people about the Funk family and life back when they were living here. "We want people to feel like they’ve been in a home, not in a museum. We want them to feel they’ve been a part of what they are seeing. The tour is about the people who lived here, not just about the stuff you see here. History isn’t just stuff." 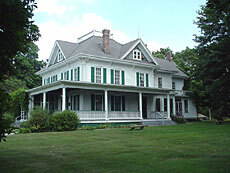 The "stuff" in the 13-room house, however, reflects the interesting lives of the Funk family, as does the house itself. Built in 1863-64, it was a wedding present for Elizabeth Paullin of Ohio, whom LaFayette met and fell in love with while in college. Although LaFayette insisted upon bringing his bride to a comfortable and spacious home, he himself was born and spent his early years in a log cabin. His father, Isaac Funk, a man of German descent who come to Illinois from Ohio, and his mother, Cassandra Sharp of the Fort Clark area (now Peoria), homesteaded on the McLean County prairie in a one-room cabin located at what is now the Funk’s Grove rest stop along Interstate 55. Isaac and Cassandra had 10 children, nine of whom lived to the age of 50 or more, unusual at that time. LaFayette, the fifth child, was born in 1834 and died in 1919, when he was 85, two years after he broke a hip cutting ice on a pond. In those times, a broken hip was usually a death sentence, but LaFayette didn’t think he could die right away because he still had important work to do. LaFayette had incredible energy, Case says. He was 6 feet 3 inches tall, built like a linebacker, and he would leap out of bed at 4 a.m. because he couldn’t wait to get to work on his farm. Still, he probably wasn’t a match for his father, "iron man" Isaac Funk, described as "tornadic and dynamic, 6 feet 2 inches of solid muscle." Isaac broke the prairie sod to plant corn, raised cattle and hogs and drove them to market, sometimes for hundreds of miles. He was able to sit in the saddle for as long as three days without sleep while driving livestock to market. Cassandra was no fragile prairie flower, either. It was said she could ride and drive cattle better than any other woman in the area. Most of her 10 children were born in one of two log cabins, the first one measuring only 12 by 14 feet — not as big as one of the rooms in the Prairie Home. The Isaac Funk family did not move into its first frame home until 1841. A Methodist, Isaac was an ardent abolitionist who strongly supported Abraham Lincoln for president. Lincoln is said to have called him the most honest and forthright man he ever knew. Isaac, himself a good hand with an ax, coined the name "railsplitter" for Lincoln’s campaign. Before he died, Isaac accumulated 25,000 acres of fine Illinois land. He became known as the "cattle king" because of the number of animals he raised and took to market and his advanced methods of breeding and raising quality livestock. Isaac was a firm friend of the Union and an enemy of the "Copperheads," Northerners who sympathized with the South during the Civil War. His famous Copperhead speech, given in 1863, was widely reported in the national press and read to Union soldiers all over the country. Isaac pulled no punches, calling them traitors and secessionists who deserved hanging, and offering to fight with any one of them in any manner they chose. He was 65 years old at the time, but still so strong that when he spoke people could hear him a block away, and when he pounded his fist on the table, the inkstand bounded half a dozen inches into the air. Like his father, LaFayette was a man of many accomplishments. His full name was Marquis De LaFayette Funk, in honor of the French general who helped George Washington in the Revolutionary War. He was the first of Isaac’s sons to go to college, and he went to Ohio Wesleyan because it had a program for scientific farming. (Isaac was one of the founders of Illinois Wesleyan College in Bloomington.) There LaFayette met Elizabeth, a gifted musician who lived in a house that had been a station on the underground railroad. They became engaged, and he promised to come for her as soon as he built a home for her to live in. She agreed to wait, though she probably didn’t think it would take as long as 2½ years. But when she did get to Illinois, she found a gracious, comfortable 13-room home, surrounded by rich farmland, where she spent the rest of her life.